Do diesel hybrids offer the best of two worlds? When I first started reading and writing about hybrid cars, they were uniformly petrol-powered. The most common refrain, aside from complaints that the batteries would have the life expectancy of a Christmas cracker, was that a good diesel was a much better bet. It’s true that a modern diesel engine can be astonishingly efficient, but there are cards a hybrid can play that a diesel alone can never match. 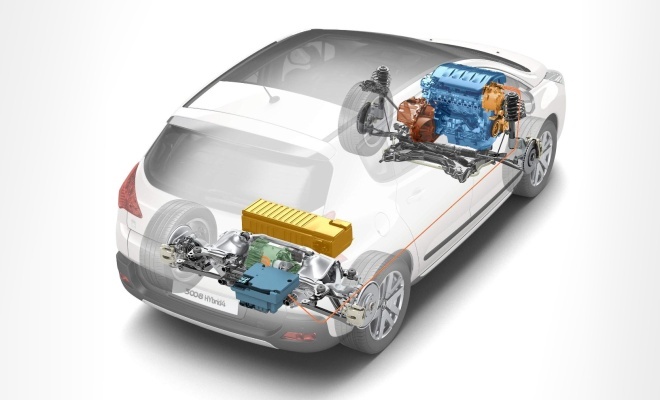 The most important being that a hybrid powertrain can allow carmakers to fit a smaller and more thrifty engine for a given level of performance. Or, conversely, they can squeeze improved performance from a given engine. However, the most persuasive demonstrations of the benefits of hybridisation are now starting to roll out onto our roads, in the shape of diesel-based hybrids from Peugeot, Citroen and Volvo. You can’t really ask for a better proof of the benefits of hybridisation than the willingness of carmakers to fit batteries and motors alongside an already economical diesel engine. Even die-hard diesel fans might be forced to consider a hybrid if they run a company car. In the middle of November, government officials confirmed that the current 3% tax surcharge levied on diesel company cars doesn’t apply to hybrids, yielding an attractive base benefit-in-kind rating of just 10%. There are downsides, of course, most notably cost and weight. Adding heavy, expensive batteries and motors to an already expensive and heavy diesel engine will not lighten the car’s load but will definitely lighten your pocket. There’s also the issue of emissions: diesels are intrinsically dirtier than petrol engines, emitting nasty oxides of nitrogen and microscopic soot particles, even when fitted with particulate filters. Adding an electric motor to the drivetrain can’t miraculously eliminate these diesel byproducts, but it can reduce them at least a little. Below are my favourite three diesel hybrids, all of which will appear on UK roads over the coming months. 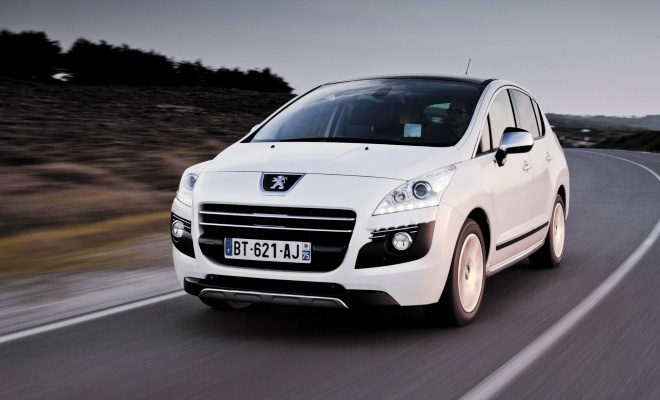 Announced in August 2010, the 3008 Hybrid4 was touted as the world’s first commercially produced diesel hybrid car. The order books opened in September this year, with prices starting at £26,995, or about £3,200 more than the plain-Jane 2.0 diesel 3008. Under the bonnet of this tall five-seater lurks a four-cylinder 2.0-litre turbodiesel producing 163bhp, driving the front wheels through a six-speed automatic gearbox. At the back, a 37bhp electric motor propels the rear wheels entirely separately. Electronic signals rather than driveshafts link the two axles of this 4x4, leading to the term “through-the-road” hybrid for this kind of design. Inside, filling a section of the boot, there’s a 1.2kWh nickel-metal-hydride battery pack. The combined peak of 200bhp delivers an 8.5-second sprint to 62mph – 1.7 seconds quicker than the same car with the diesel engine alone, and not bad for a car weighing a porky 1808kg. That’s about 280kg more than a standard 3008 with the same diesel engine. And if 280kg is hard to visualise, it’s about the same weight as three blokes and a Rottweiler. When equipped with modest 16-inch wheels, the hybrid Peugeot records an official test result of 99g/km and 74.3mpg – good enough to slip into the London Congestion Charge unmolested. As a sister brand to Peugeot, it’s no surprise to see Citroen borrowing the same Hybrid4 underpinnings for its upcoming DS5 Hybrid4. Like the 3008, the DS5 is a spacious family car. The DS branding signifies that the car belongs in the more upmarket part of Citroen’s range, intended to compete with semi-premium brands like VW and Alfa Romeo. The styling is possibly trying too hard in its mission to distance the DS5 from more humdrum motors, but the look has grown on me, particularly after I stumbled across a DS5 in Covent Garden being filmed for a promotional video. It’s busy, but attractive. Whether you like the style or not, the DS5 is at least a very safe place to sit, according to Euro NCAP, scoring a full five stars and high percentages for occupant protection. Under the skin the DS5 Hybrid4 uses exactly the same 200bhp combination as the 3008 Hybrid4. It will limbo under 100g/km with the right wheels. 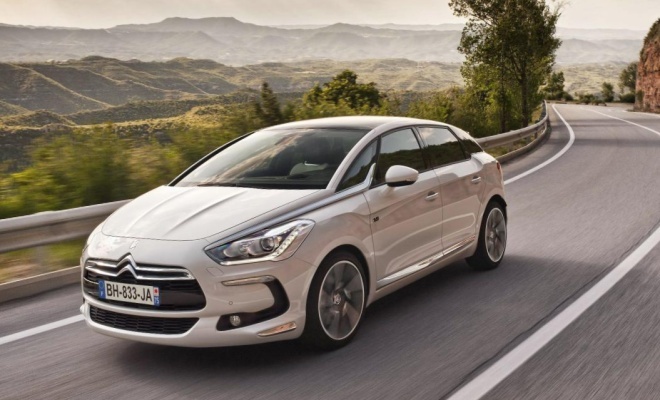 The DS5 will be launched in the UK in the first quarter of 2012, with base prices starting at £27,600 for the 99g/km DSign Hybrid4 specification through to £32,200 for the 107g/km DSport Hybrid4 edition. That’s a £2,865 premium over the slower, thirstier 2.0 diesel auto without the hybrid gear. The most expensive car in my trio of diesel hybrids is also the only plug-in car. Adding an 11.2kWh lithium ion battery roughly ten-times as capacious as those fitted to the Hybrid4 cars opens up new possibilities but also adds considerable cost. 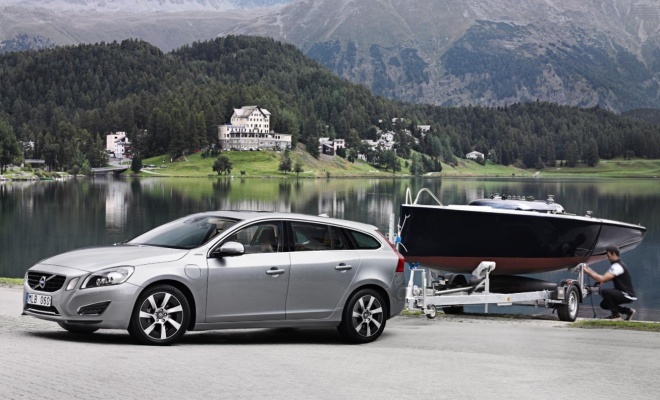 Costing about £47,000 when it goes on sale next year, the Volvo V60 Plug-in Hybrid will make most other Volvos seem like cheap runabouts. All that cash will at least buy a very versatile car. It can run as an electric car for about 30 miles on full charge, sprint from rest to 62mph in 6.2 seconds if pressed, tow up to 1,800kg when needed and manage to turn in an official CO2 score of just 49g/km thanks to the contribution of mains electric power. That’s a combination of capabilities that’s hard to beat. Like the Peugeot and Citroen, the Volvo is a through-the-road hybrid, its 215bhp, 5-cylinder, 2.4-litre diesel driving the front wheels, while the 70bhp electric motor takes care of the rear axle. Unfortunately, all that hardware does result in a yet-to-be-confirmed weight close to 2 tonnes. Assuming the government is still in the mood for handing out grants for plug-in cars at the tail end of next year, the V60 hybrid should qualify for a £5,000 contribution, reducing the price to £42,000. That’s about £7,500 more than the current most expensive diesel V60, the D5 AWD R-Design. A bargain? Not quite, but a very impressive and capable car nonetheless.